Polyethelene shelves will not scratch, dent, rust or stain. Optional 3-outlet, 15´ UL listed power cord mounts in handle. Electric in handle and big wheel design are patented (select models). LP42-B: 3 shelf cart with 4" standard casters. LP42BW-B: 3 shelf cart with 8" big wheel casters. LP42E-B: 3 shelf cart with 4" standard casters and 3-outlet power cord in handle. 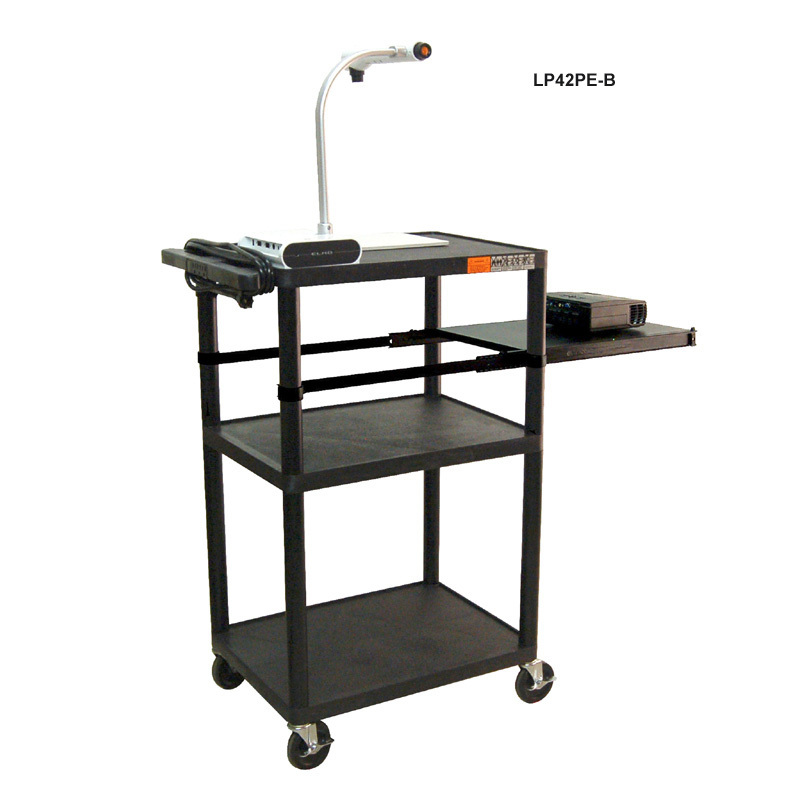 LP42EBW-B: 3 shelf cart with 8" big wheel casters and 3-outlet power cord in handle. 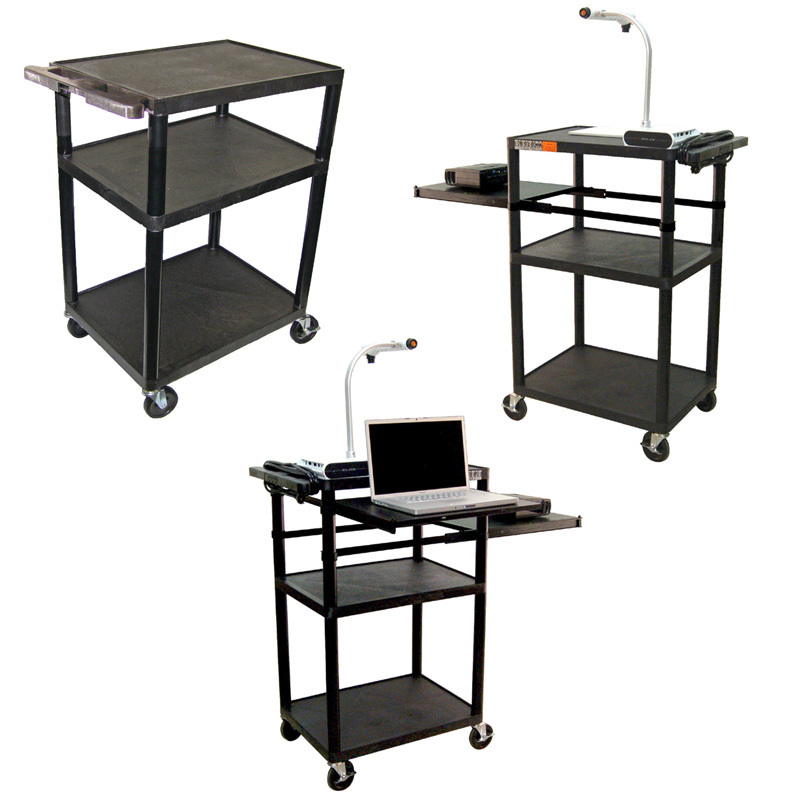 LP42PE-B: 3 shelf cart with 4" standard casters, 3-outlet power cord and pull-out side shelf. 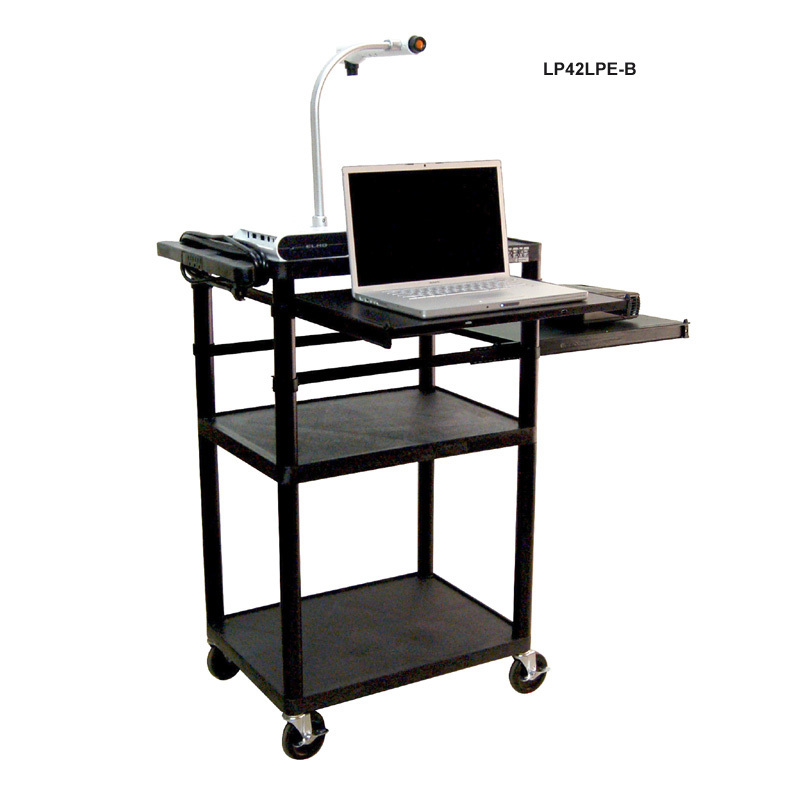 LP42LE-B: 3 shelf cart with 4" standard casters, 3-outlet power cord and pull-out front laptop shelf. 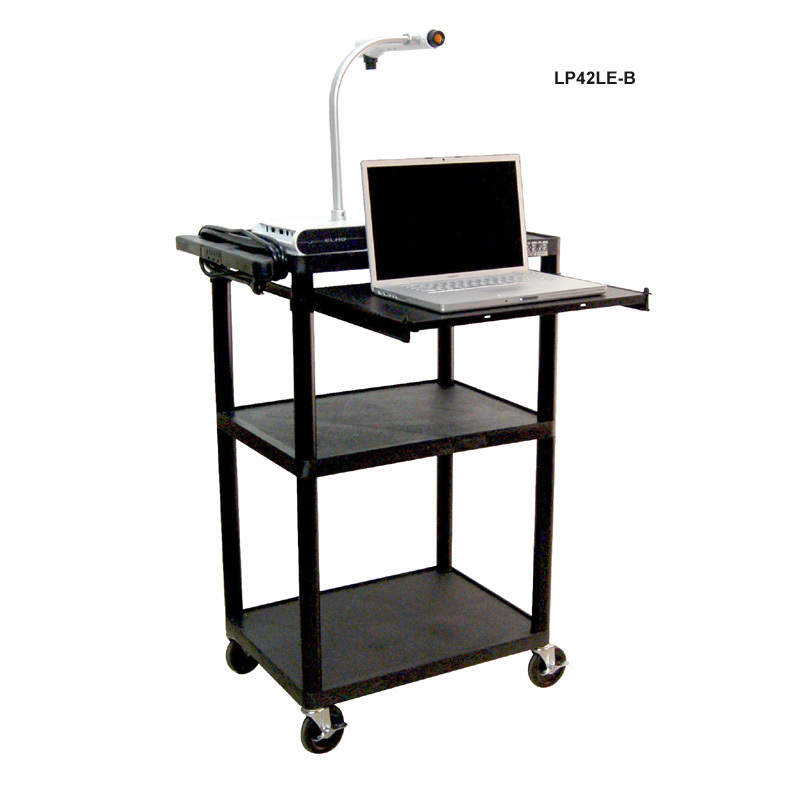 LP42LPE-B: 3 shelf cart with 4" standard casters, 3-outlet power cord, pull-out side shelf and front laptop shelf.